What do countries want to achieve? Why? How can it be achieved in an efficient manner?  At BG Consulting we help countries answer these questions by working very closely with them to identify their strategies. As strategic goals can vary per sector, departments or officials, we thrive to focus on the big picture objectives. By setting up the goal as the defining framework we are in a better position to advise on the tactics. Using constant reference to the relevance of decisions vis-à-vis the strategy our team can ponder every policy and reform in competitive and comparative ways. Our methodology entails questioning possible reforms at several levels and with different stakeholders until the interests of everyone are identified and win-win solutions are found. Over the years we have learned that the success of the legal reforms has many formulas, but one common ingredient can never be absent: the existence of a strategy. We make sure the best practice proposed is the best practice for the country. That not only requires considering the best international practices but foremost developing creative solutions that are only useful in the context of the singularity of each country. Copy-paste reforms have proved useless in the long term as they ignore the local dynamic that make the reforms sustainable. In addition, in today’s highly competitive world the disruptive reformers are not necessarily those with a “me too” mindset. That is the angle from which we work: disruptive, unique and creative reform. We devote all the necessary resources to get the local stakeholders involved very early in the reform process. Our 360-degree methodology guarantees that all relevant players are taken into account at the assessment level. On developing the final reform proposal, we make sure that the order of matters in place —at times seemingly chaotic— is considered as a starting point of reform. Eventually, a new order only requires formalizing realities that have arisen from custom, tradition and repetition. Our consultants coach the clients by portraying a fact-based diagnostic and suggest solutions that match the specific circumstances of the reform sought of. Ultimately, the reform needs to be the product of only one group: the locals. Legal Assessment and Reform / Licensing and Registration. Legal Reform/Foreign Investment legislation/Customs and Trade legislation. Legal Assessment and Reform / Registration and Investment Promotion. Legal Assessment and Reform: Legal empowerment of the poor. International Law of Foreign Investments.